The purpose of this document (“Data Protection Policy”) is to inform you of how Laguna Resorts and Hotels Limited and its related corporations(collectively, the “Companies”) manages Personal Data (as defined below) which is subject to the Singapore Personal Data Protection Act (No. 26 of 2012) (“the Act”). Please take a moment to read this Data Protection Policy so that you know and understand the purposes for which we collect, use and disclose your Personal Data. By interacting with us, submitting information to us, or signing up for any products and services offered by us, you agree and consent to the Companies, as well as their respective representatives and/or agents (“Representatives”) (the Companies and Representatives collectively referred to herein as “Laguna Phuket”, “us”, “we” or “our”) collecting, using, disclosing and sharing amongst themselves your Personal Data, and disclosing such Personal Data to the Companies’ authorised service providers and relevant third parties in the manner set forth in this Data Protection Policy. This Data Protection Policy supplements but does not supersede nor replace any other consents you may have previously provided to Laguna Phuket in respect of your Personal Data, and your consents herein are additional to any rights which to any of the Companies may have at law to collect, use or disclose your Personal Data. Laguna Phuket may from time to time update this Data Protection Policy to ensure that this Data Protection Policy is consistent with our future developments, industry trends and/or any changes in legal or regulatory requirements. Subject to your rights at law, you agree to be bound by the prevailing terms of the Data Protection Policy as updated from time to time on our website http://www.banyantree.com/en/privacy-policy. Please check back regularly for updated information on the handling of your Personal Data. When you browse our website, you generally do so anonymously but please see the section below on cookies. We do not, at our website, automatically collect Personal Data unless you provide such information or login with your account credentials. If you have provided your Singapore telephone number(s) and have indicated that you consent to receiving marketing or promotional information via your Singapore telephone number(s), then from time to time, Laguna Phuket may contact you using such Singapore telephone number(s) (including via voice calls, text, fax or other means) with information about our products and services. Please be aware that once we receive confirmation that you wish to withdraw your consent for marketing or promotional materials/communication, it may take up to 30 working days for your withdrawal to be reflected in our systems. Therefore, you may still receive marketing or promotional materials/communication during this period of time. Please note that even if you withdraw your consent for the receipt of marketing or promotional materials, we may still contact you for other purposes in relation to the products and services that you have requested from Laguna Phuket. When you interact with us on our websites, we automatically receive and record information on our server logs from your browser. We may employ cookies in order for our server to recognise a return visitor as a unique user including, without limitation, monitoring information relating to how a visitor arrives at the website, what kind of browser a visitor is on, what operatingsystem a visitor is using, a visitor’s IP address, and a visitor’s click stream information and time stamp (for example, which pages they have viewed, the time the pages were accessed and the time spent per web page). Laguna Phuket will take reasonable efforts to protect Personal Data in our possession or our control by making reasonable security arrangements to prevent unauthorised access, collection, use, disclosure, copying, modification, disposal or similar risks. However, we cannot completely guarantee the security of any Personal Data we may have collected from or about you, or that for example no harmful code will enter our website (for example viruses, bugs, trojan horses, spyware or adware). You should be aware of the risks associated with using websites. While we strive to protect your Personal Data, we cannot ensure the security of the information you transmit to us via the Internet or use our mobile services, and we urge you to take every precaution to protect your Personal Data when you use such platforms. We recommend that you change your passwords often, use a combination of letters and numbers, and ensure that you use a secure browser. Please note that if your Personal Data has been provided to us by a third party (e.g. a referrer, or your company), you should contact such party directly to make any queries, feedback, complaints, and access and correction requests to Laguna Phuket on your behalf. If you withdraw your consent to any or all use of your Personal Data, depending on the nature of your request, Laguna Phuket may not be in a position to continue to provide its products and services to you, administer any contractual relationship in place, which in turn may also result in the termination of any agreements with Laguna Phuket, and your being in breach of your contractual obligations or undertakings. Laguna Phuket’s legal rights and remedies in such event are expressly reserved. 1. Where is my personal data stored? a. All data is securely stored in Payment Card Industry Data Security Standard certified (PCI DSS) data centers provided by industry leaders Oracle, Sabre and TravelClick. 2. What types of information is collected? a. These may include, but are not limited to, names, contact information, payment information, date of birth and preferences. b. We may also receive data from external parties which our guests may use, e.g. Expedia.com, Booking.com or the like. 3. How is this information used? a. Laguna Phuket collects personal information of our guests in order to carry out our obligation to fulfil their stay at our hotels, and provide a high level of service accordingly. b. We may also use this information with their consent for marketing activities to provide news of our hotels and activities. c. We may also use this information to communicate with the guest, from time to time via email, or phone, or text to respond to their queries, service follow-ups, or to improve our services. d. We provide this data to our Third Party service provider to process on our behalf, to send out reservation related, and/or marketing material, and also validate the email address provided during the booking process. These providers are bound by confidentiality clauses and are not permitted to use the data for any other purposes. e. We may share data with payment processing providers and/or financial institutions for fraud detection and prevention, and payment processing activities. f. We only provide data to the relevant local law enforcement authorities as required by law for the prevention, detection, and prosecution of criminal acts as we are legally obliged to. 4. What measures are taken to protect my personal data? a. Policies and practices are in place to ensure that data security is not compromised at any point of collection or processing of such data. b. Personal data will only be used and retained for the purposes required/consented to and this has been communicated to all our staff on a regular basis. c. A new Data Protection Statement has also been drafted and enacted internally to ensure our compliance with all relevant data protection rules. 5. How can I exercise my rights under GDPR? a. If you have any queries, you can contact us at info@lagunaphuket.com for further assistance. b. 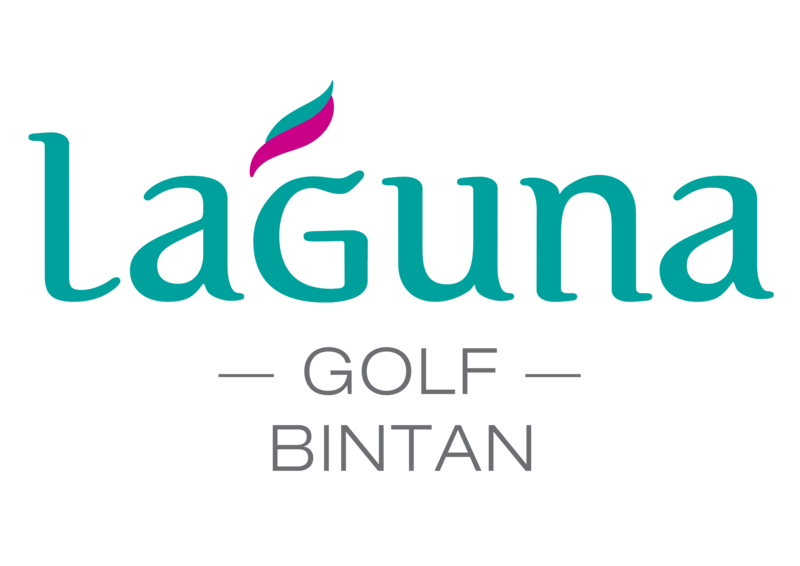 Visit us at https://www.lagunagolfbintan.com/privacy-policy/ for more information. c. We will respond to your request as soon as possible, within one calendar month at the latest.